Mr Paul Stanley, Janea, and me. So nice to see him again, and to jam with him this time…surrealism at its finest! FIRST KISS forever! With Paul Stanley post performance, Rock and Roll Fantasy Camp. South Florida here I come! 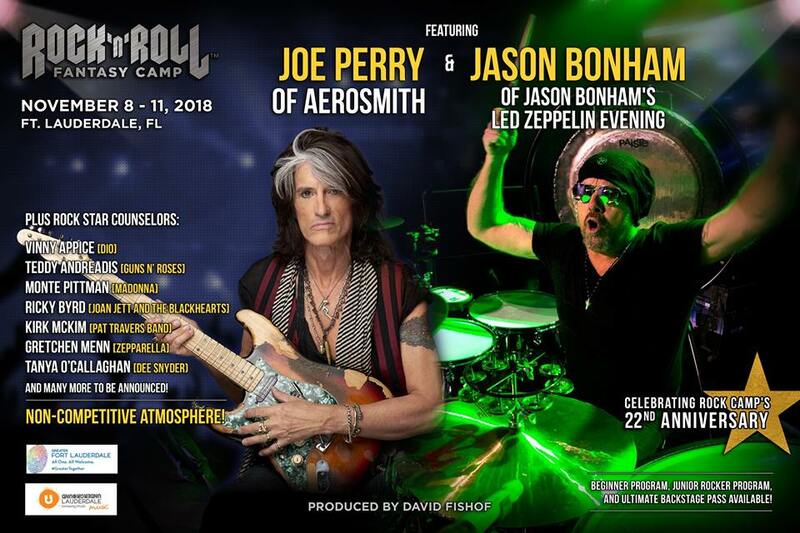 I'm happy to announce that I'll be joining the cast of awesome Rock Star Counselors for the Joe Perry & Jason Bonham Rock and Roll Fantasy Camp Nov 8-11 in Ft. Lauderdale! Powered by New Media Vegas. Designed by The Sin City Webmaster.